Robotic pet pooch endures till spinoff. K-9, or ‘K-9 Mark II’ (voiced by both John Leeson and David Brierly), first appeared in the Fourth Doctor episode The Invisible Enemy – 1977. K9 was created by Professor Marius in the year 5000, on an Asteroid base to replace his Earth dog – as a companion. Unable to take K9 back to Earth with him, due to weight restrictions. Marius offered K9 to the Fourth Doctor. K9 was in every sense of the word – ‘mans best friend’, accompanying and acting as a proper guard dog to the Doctor. K9 was useful too, he could be plugged into a computer mainframe, or the Tardis control column. His snout was also a defensive ray gun which could torture, incapacitate opponents (or even kill) and he also had a decent enough sensor array to sweep the area for danger. K9 was intelligent aswell, regularly playing and beating the Doctor at chess – and general trivia, which annoyed the Fourth Doctor. K-9 was a regular companion alongside the Severateem Savage companion – Leela, until The Invasion of Time – 1978. K-9 decided to remain on Gallifrey with Leela. 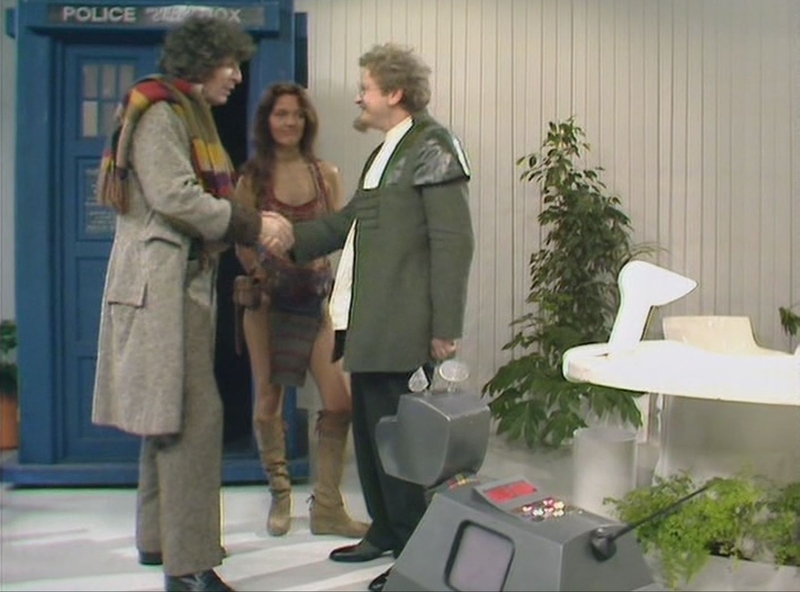 However, due to the popularity of the character, K9 ‘Mk II’ was introduced immediately at the end of the episode, to continue travelling with the Doctor. This K9 MK-II upgrade was quicker, more agile, had better weapons and an even better sensor array. But still had the same imitable personality that made the first K9 so endearing. K9 accidentally damaged himself – in Leisure Hive – 1980, on Brighton beach. When he chased a ball thrown by the Fourth Doctor into the sea and short circuited himself. When the Doctor got trapped in the parallel universe of E-Space. An already damaged K-9 MK-II – was irrepairably damaged, in Warriors’ Gate – 1980. Romana decided to stay behind in E-Space, so the Doctor gave K9 MK-II to her as a parting gift. The N-Space winds have a healing effect his broken circuitry. K9 made one more appearance in The Five Doctor’s – 1983, now in the care of Sarah Jane Smith back on Earth.